Liaoning Zhongde Cable Co., Ltd.
Liaoning Zhongde Cable Co., Ltd. (Hereafter called " Liaoning Zhongde") is one of the holding subsidiaries that is established by raisedcapitals of Zhongli Group (Listed in Shenzhen: 002309). Our mission is to develop a large scaled factory base of manufacture of ame-retardant reproof exible power cables and wires in Northeast, serving North and Northeast markets in China. Liaoning Zhongde was founded in October 2007 with the registered capital of 304 million CNY, phase 1 construction was completed in November 2009 and has gone into operation regularly. The annual productivity is up to 2 billion CNY. Liaoning Zhongde is located in the centre of Tieling Industrial Park, Shenyang next to national road 102, Shen-Ha expressway in the west and Shen-Huan highway in the south in which it is surrounded by beautiful environments and easily accessible. An area of 150,000 square meters with a unique production workshop of 40,000 square meters that manifest a state-of-the-art production technology in the country. There are over 100 sets of most advanced equipments of production and testing, such as a world-class high-pressure cable production line from a renowned German company Troester with reliable technical supports. Since March 2009 Liaoning Zhongde began construction of the building, completed in November that year and become the rst company of Tieling City that construction and production at the same year. The main products of Liaoning Zhongde are aerial conductors at the voltage of 10000KV and below. Middle and High voltage of Power cable at the voltage of 110KV, Low voltage power cable, Aluminum power cable, exible reproof cable, Aerial insulation cable, control cable, ame retardant cable for mining, ame-retardant reproof exible power cables, All kinds of special cables and all kinds of aluminum rods complied with ASTM B800, B600, electrical aluminum pole, etc., for the cable market demanded at home and abroad to provide the necessary support and services. 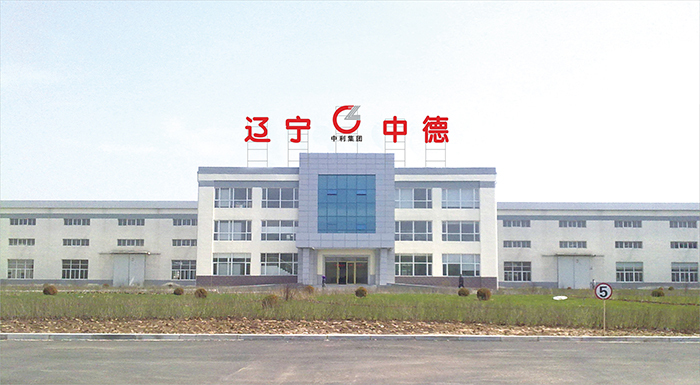 We have an independent R & D center, and was named "Liaoning Province provincial enterprise technology center." All products of Liaoning Zhongde are approved and accredited through the veri cation of production licenses: ISO9001 quality management system, ISO14001 environment safety management system and GB/T28001 profession health safety management system. As well, Liaoning Zhongde has been successively granted with production license, CCC certification, mine safety certification and others conformed to otherinternational standards. Liaoning Zhongde is a decent platform that assembles different experienced talents from various elds in the industry, staff collaborates to improve research and development ability, are competent to strengthen management and marketing techniques. The intelligence of the group manages to become one of the largest and strongest cable enterprises of the Northeast. The enterprise in the future continues to make new contributions for the long-range development in the industry such as China Mobile, China Unicom, China Telecom, State Grid and Chinese railways, etc. Liaoning Zhongde believes in the vision of "The brain and technology will lead, the apparatus leads, the service of goods leads" in order to provide world-class goods and services, and sincerely establish steady cooperative relationship with each customer. We dedicate to offering the most high-quality service to users on before-sale, while-sale, after-sale service, precise customized products on request and just-in-time delivery; technical support for the customers at any time; product quality guarantee; best efforts to meet the customers’ demand; the customer service centre will open in hot line for 24 hours (024-78899988) and attendants will help customers to solve the problems within 48 hours, as well as carry out the on-the-spot technical support if necessary and solve the problems shortly and will try the best to meet customers’ requirements. "A hundred years, begins with one step." Zhongli will continuously forge ahead with spirit of enterprise "innovation, credibility, cooperation and win-win", to became a world-class enterprise!